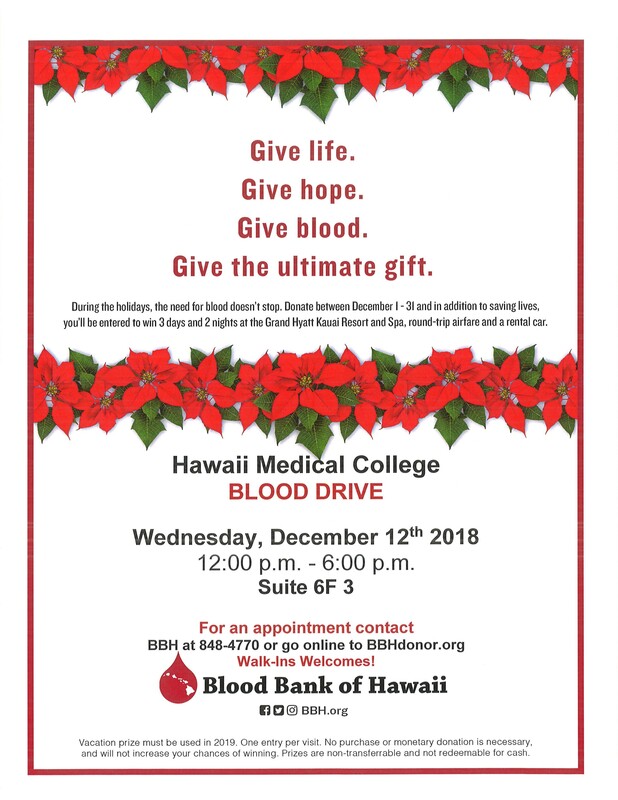 HONOLULU, December 6, 2018	(Newswire.com) - Hawaii Medical College is hosting a Blood Drive on December 12, 2018, to support the efforts of the Blood Bank of Hawaii (BBH). During the holidays, the need for blood doesn’t stop, so the BBH is incentivizing donors. Those who donate blood in the month of December will be entered to win a 2-night stay at the Grand Hyatt Kauai Resort & Spa, including airfare and a rental car. simply walk into Suite 6F 3 on Hawaii Medical College campus at 1221 Kapiolani Blvd. An accredited healthcare institution located in Honolulu, Hawaii, Hawaii Medical College is the largest locally-owned career college. The goal of Hawaii Medical College is to answer community needs by providing quality healthcare training in a supportive learning environment, leading to nationally recognized credentials, where each student can develop essential skills both professional and technical in their chosen field. It offers quality training for Healthcare Administration, Billing and Coding, Pharmacy Technology, and Medical Assisting. Students can also earn Associate of Applied Science Degrees in Medical Assisting, Heathcare Administration / Billing & Coding and Health and Human Services. Programs can be completed in 12 to 24 months. For more information go to hmi.edu. 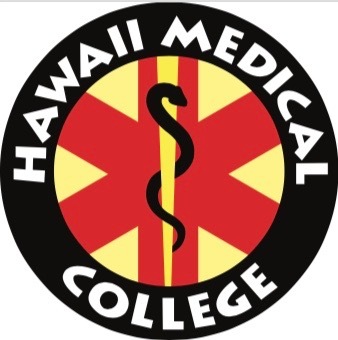 An accredited healthcare institution located in Honolulu, Hawaii, Hawaii Medical College is the largest locally-owned career college. The goal of Hawaii Medical College is to answer community needs by providing quality healthcare training.